Cloud Desktops are a better way to serve employees at the office, at home, and on the road, than the traditional office PC. The modern workplace is where the demand for greater mobility and productivity meets the demand for greater security and lower costs. To best meet these demands, organizations of all types and sizes are abandoning the traditional, PC-based approach to IT and adopting cloud hosted desktops, applications, and files. Try a Concero Cloud Desktop for Free! Based in Canada, Concero’s expert support staff are available 24x7x365 to deal with any service impacting incident and are available throughout the day by e-mail or phone to respond to any support requests from your end-users. Backed by a 99.99% service availability guarantee, Concero’s service desk will ensure your business is always up and running. A Concero Cloud Desktop makes your hosted desktops (DaaS) and applications accessible anytime, anywhere, from any device. All your current business data will be available whenever you need it. 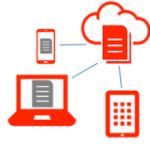 Concero’s Cloud Desktops are very responsive, even over higher latency network connections. In fact, the user experience is virtually indistinguishable from desktop PC. To maintain this performance over time, compute resources are scaled on-demand to accommodate more users, applications, and data. Concero will customize the installation of your Cloud Desktop to meet your unique business requirements. We’ll work with you and your software vendors to seamlessly migrate your applications and data to your Cloud Desktop.